Notes: Real imports of goods and services. 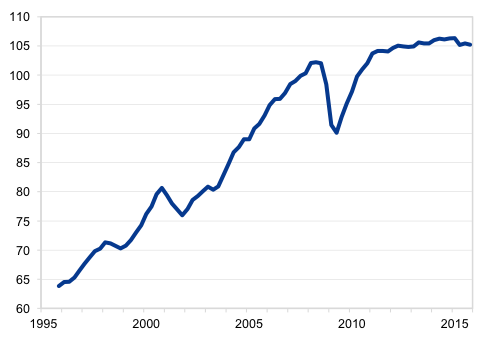 Real global GDP is aggregated with market exchange rates. The last observation refers to 2015Q4. Notes: Real imports of goods and services. Real global GDP is aggregated with market exchange rates. The last observation refers to 2015. Source: World Bank (WDI), IMF (WEO database), Haver Analytics and authors’ calculations. Aggregation based on market exchange rates. Boz, E, M Bussière and C Marsilli (2014). “On the recent slowdown in global trade”, VoxEU, 12 November. Constantinescu, C, A Mattoo and M Ruta (2015). “Explaining the global trade slowdown”, VoxEU, 18 January. Evenett, S and J Fritz (2015). 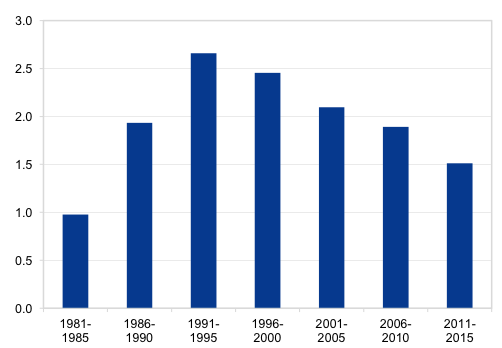 “Protectionism and the fall in world trade”, VoxEU, 12 November. Ferrantino, M and D Taglioni (2014). 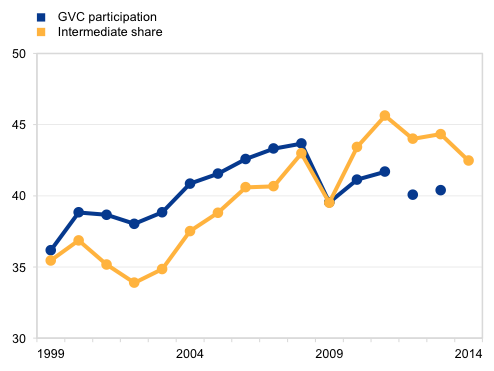 “Global value chains in the current trade slowdown”, VoxEU, 6 April. Hoekman, B (2015). 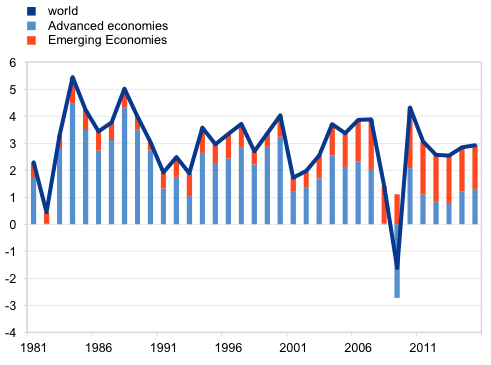 The Global Trade Slowdown: A New Normal?, VoxEU.org eBook, June. WTO (2016). “Trade in 2016 to grow at slowest pace since the financial crisis”, Press Release.